Florida’s official nickname is the Sunshine State. Its beautiful beaches and luscious state parks draw thousands each year to enjoy the great outdoors. 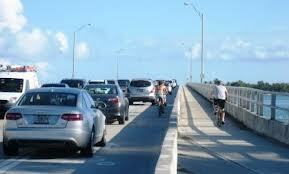 This may sound like Florida is therefore the perfect place to go for a bike ride. 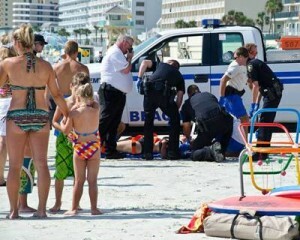 Unfortunately, however, Florida is ranked as the most dangerous state in the country to ride a bicycle. According to a recent study by the National Highway Transportation Safety Administration, bicyclists in Florida as far more likely to be killed than in any other state in the US. The NHTSA study looked at the number of deaths resulting from traffic crashes between 2007 to 2016, and the results were surprising. For Florida, many, if not most, of the state’s cities dominate the study’s rankings as the most dangerous for cyclists. Unlike many cities in Europe, like London or Amsterdam, metro areas in the United States are not built with cyclists in mind. Most cities in Europe specifically build their infrastructure to include modes of transportation that do not revolve around cars. For example, the European cities are better at including independent bicycle lanes or creating safer crosswalks for pedestrians. When a head-on collision occurs, the front seat occupants are rapidly propelled forward towards the windshield. In order to prevent someone from going through the windshield, most cars have two important safety features, the seatbelt, which must be buckled to be effective, and airbags, which react automatically to a crash and open by themselves. Seatbelts and airbags have made driving safer and do their part in protecting people well in most cases. However, you should note that these safety features can also cause injuries of their own. When an airbag deploys, it opens very quickly with a lot of impact. It is designed to do that to protect drivers and passengers as fast as possible to quickly “pillow” the occupants of the car from as much of the crash impact as they can. However, being struck by an airbag can feel like a major impact of its own, especially to a person who has never had an airbag open on them. Getting struck by an airbag in action mode may result in ancillary injuries, especially ears and eyes before the impact lessens and it goes into “pillow” mode. If small or petite individuals are struck by a deploying airbag, more serious injuries can occur. That’s why people are advised to have children ride in the back seat. Another problem with airbags is sometimes they are defective or installed incorrectly and fail to go off altogether and the driver and passenger in the front seats may hit the window, which can cause extremely serious “life or death” types of injuries. MIAMI, FLORIDA – Data from the Florida Department of Transportation lists 1,173 wrong-way crashes (also known as “head-on collisions”) on Florida’s freeways and toll roads from 2003 to 2012. In those, 164 people were killed and 1,322 hurt. Seaside attraction Miami, which is the largest metropolitan area in Florida, is no exception. Some factors noted in Miami that are not common in other areas which can cause a motorist to have a head-on collision include large streets that resemble highways where people tend to drive very fast; some large streets and highways with places that don’t have a shoulder to seek safety on when faced with an oncoming wrong-way motorist; a highway and toll system that can be very confusing for people who are not from Miami, sometimes causing them to panic when trying to make decisions and end up going the wrong way; very heavy downpours of rain that occur quickly and with no warning where the driver literally cannot see out of the windshield; and tourists (particularly international ones) driving who are not familiar with the area. Miami can be a challenging place to drive, especially for the uninitiated. 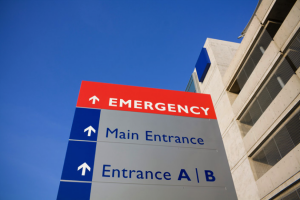 Miami can especially be a challenging place to have a serious automobile accident, whether you are a visitor or Florida resident. 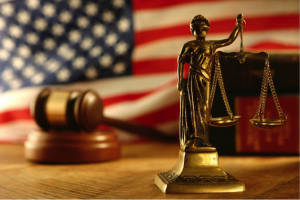 Attorneys at the Wolfson Law Firm have a combined 62 years of experience representing accident victims in Miami. If you contact the Wolfson Law Firm immediately after your accident, even before speaking to the car insurance companies involved, you will not be misled into making any statements by a car insurance company that will come back to haunt you and harm your case. The Wolfson Law Firm will make a thorough investigation of your personal situation and assist you when it comes to making statements to insurance companies. The minimum Personal Injury Protection coverage required by law in Florida is only $10,000. This amount is never enough to fully pay for damages, especially when it comes to a catastrophic accident like a head-on-collision. And that is your own insurance that covers your own damages. Unfortunately, many car owners skimp on their insurance to save money and just purchase the minimum amount of insurance. Another problem that may occur is the at-fault driver does not have any insurance at all, so remember it is always recommended to carry uninsured motorist coverage on your vehicles. 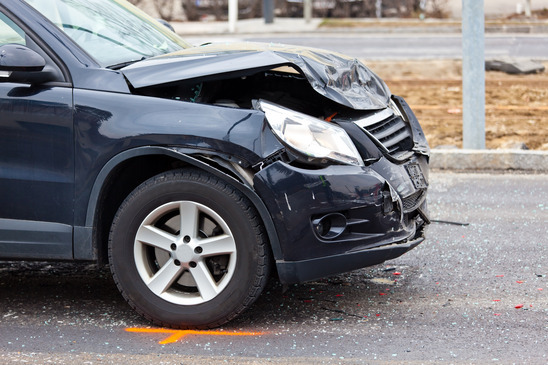 Besides injuries and a destroyed automobile, head-on-collisions can wreak havoc financially. Medical care is costly and you may end up with a lot of debt because of it. The cost of the most advanced and intensive care, such as for injuries to the brain and spinal cord can easily end up in the six figures. You may need physical rehabilitation for a long time. You may be laid up and unable to go to work, which can hurt your budget even if it is for a short time. If you are unable to work because of your injuries for a long time, you could end up bankrupt. The worst case scenario is death. If a relative died in an auto accident, you also may be able to file a wrongful death claim … to obtain justice for your loved one who has passed over, and to fight to provide the survivors of the deceased much deserved financial stability.